Shakespeare is a phenomenon. Derided by his contemporaries for not being university-educated, for being too “country” and for writing low-brow plays in order to appeal to a mass audience, he’s now an icon. To all you genre writers out there – does any of this sound familiar? Today we consider him a master. His plays are still performed and many of his phrases have entered into our everyday lexicon. I’ll never forget seeing Taming Of The Shrew performed when I was in high school. It was amazing and brought the dry text we were forced to read to life. That’s the way Shakespeare’s works should be experienced. But what do we really know about his life? He was born in Stratford-Upon-Avon in 1564. He married Anne Hathaway in 1582 and their first child was born a mere 6 months later (a-hem). In 1585, they had twins. 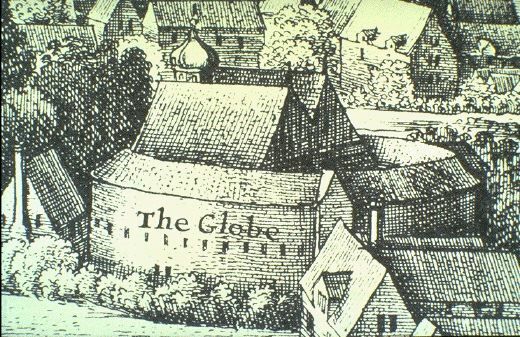 We know his plays were performed in London from around 1592 until his death in 1616. So what happened between 1585 and 1592? Scholars think he was in London, acting in smaller companies and writing on the side. He might have been traveling the countryside with a troupe, or he could have been having “dalliances” while his wife was stuck with the kids back in Stratford. It’s likely that some of his plays were performed during this time because in 1593 he is famously derided by a university-educated rival, Robert Greene, for being an “upstart crow”. Perhaps he found a wealthy benefactor and traveled to Europe where he learned about the Italian cities where he’d set future plays. 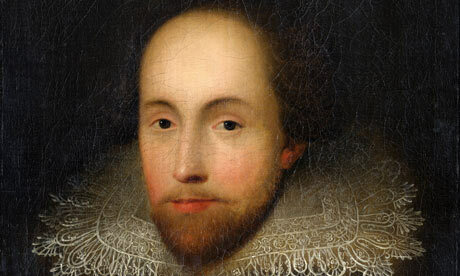 Or perhaps Shakespeare wasn’t Shakespeare at all, but someone else wrote his plays. It’s a popular theory that was fictionalized in the 2011 movie Anonymous. I took the safest path in my Lord Hawkesbury’s Players books, and cast Shakespeare as a struggling actor in a London theatre troupe. Like most writers though, he wanted to give up the day job and have his plays read and performed.